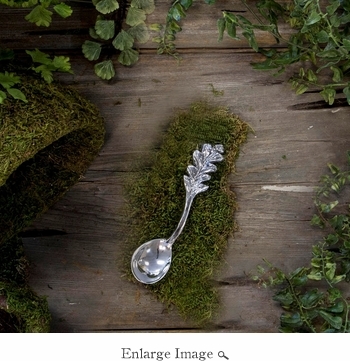 A charming and whimsical little spoon--inspired by the garden. Perfect for serving honey, jam, dips, salsa and sauces, you'll reach for it whenever company comes to call. A nice companion to any of our GARDEN Collection leaf bowls, and perfect for outdoor parties.